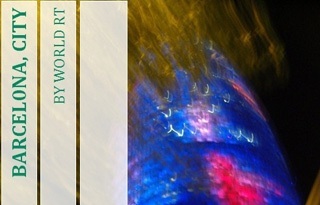 The city has known a great period of modernism, above all during the end of the 19th century. By walking on the street, you will discover buildings with a particular design mixing with fantasy and color in which each architect offers us his particular vision of creation during this period. for the first one, Francesca Morera Ortiz contracted the architect in 1902 to reform the Rocamora house dating from 1864. She died in 1904 and her son Albert Lleó i Morera took in charge of the project. Working with the best artisans, the architect was able to create something that most part of the people considered it as the little Catalan Music palace and won in 1906 the prize of the best artistic building of the year. for the second one, Antoni Amatller contracted the architect in 1898 to reconstruct the house built by Antoni Robert in 1875. Also working with the best artisans, it took the architect 2 years to create a house looking like a small palace mixing german and catalan gothic styles and it was declared in 1976 as a historic-artistic monument. for the third one, José Batlló Casanovas contracted the architect in 1904 to redesign the house built by Emili Sala Cortés in 1875. Also working with the best artisans, it took the architect 2 years to create a building full of colors where the front looks like a wavy sea and the roof as fish scales and it was declared in 2005 as UNESCO World Heritage Site. Walking up the street, you will turn right after crossing the 3rd street which should be the mallorca street until you will spot the number 278. 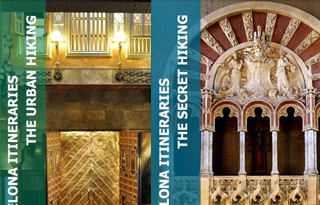 Here you will discover the Montaner palace which owns a kind of italian style mixing with a catalan philosophy. Ramón Montaner commissioned the project in 1889 to Josep Domènech i Estapà but he wasn’t able to complete the work due to some conflicts with the owner so Lluís Domènech i Montaner took the project and finished it in 1893. The result is a place with 2 floors and an attic space where marble mosaics decorate the floor, a fantastic skylight roof… Since 1980, the building is the head office of the Spanish Government in Barcelona. Near to it, another work of Lluís Domènech i Montaner. It is the Thomas house (mallorca 293) built between 1895 and 1898 but it consisted only of 2 levels, the ground and the first floor. The lower part was the atelier of the owner and the upper part, his residence. In 1912, the architect son in law, Francesc Guàrdia built 3 levels more by respecting the neo-gothic front and raising the height of the lateral towers. In 1980, Cristian Cirici i Alomar renovated the building and received the Restoration National Award of the year. Heading up to the diagonal street, you will discover a row of modernistic buildings. Starting by the Terrades house (avinguda diagonal 416), also known as spike house, it has been built in 1905 by Josep Puig i Cadafalch who gave it a kind of medieval castle with towers. In fact, it was 3 different buildings which formed a triangle and during the work, the architect decided to reunite them in one triangular block construction. The surname of spike house is given because of the conical cover of the towers ending in spike. The baron Quadras asked the architect Josep Puig i Cadafalch to reform a block of buildings and between 1902 and 1903, he created the Baró de Quadras palace (avinguda diagonal 373). The particularity of the building is that it has 2 different fronts. The one from the diagonal avenue reminds the north european gothic palace with its bust sculptures from medieval and renaissance people. The one from the rosselló street kept the old structure and decorated with some viennese elements. Since 2003, the building is the head office of the Asia house where each year is celebrated the asia film festival for example. At “avinguda diagonal 442”, you will see the Comalat house, built from 1909 to 1911, by Salvador Valeri i Pupurull. Here you will see some references to Gaudi, the building owns 2 different fronts, the diagonal one and the còrsega one united by a gaudinian curve. The first one is simple and symmetric with floral decorations on the top and the second one with dynamic and irregular wooden galleries. Leaving a moment the street, you will head for about 4 minutes to the Fuster house (passeig de gràcia 132). Built by Lluís Domènech Montaner between 1908 and 1911, it was his last construction in Barcelona. Contracted by Mariano Fuster who wanted to make a gift to his wife Consol Fabra, the architect worked with his son Pere Domènech i Roure to complete the work. A building made of white marble, glass and slate on which you can appreciate a great harmony of curves and straight lines, the cylindrical tower decorated with sculptures, trilobate windows… Nowadays it is a 5 stars hotel where Woody Allen gave a jazz concert in 2007. Now let’s back to the diagonal street for your last discovery, the following building is located in one of the corners of the diagonal street, the Sayrach house (avinguda diagonal 423-425) has been built in 1918 by Gabriel Borrell but designed by Manuel Sayrach. You will appreciate the semi cylindrical axis which forms the corner crowned by a splendid tower and where on the top, you can distinguish curve lines inspired by Gaudi. 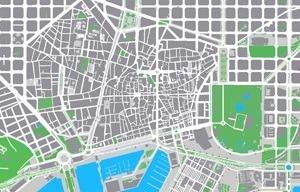 For the 2nd day, you will have to move to different districts but firstly, it will be the Ciutat Vella district. From catalunya square, you will walk down la rambla street until the Bruno Cuadros house (la rambla 82), also known as umbrella house, it is very particular and you can’t miss it because it is the only building with a dragon on its front and near the Pla de l’Os by Miro. painted crystals in the shop to Japan… but unfortunately, because of the renovation of 1980, the ground floor changed from a shop to a bank. The Martí house (montsió 3) is located near the portal de l’angel street. Built by Puig i Cadafalch in 1896, he gave it a medieval castle style mixing with the catalan modernist one. Surely you will appreciate the beautiful stained glass windows, the nice wrought irons, the particular sculptures… and if you are thirsty, take a drink to the bar-restaurant on the ground floor or just take a quick look inside before to go to see something very impressive. 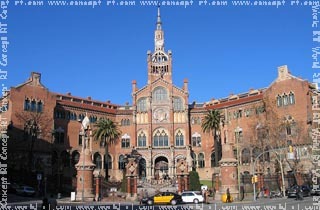 The Catalan Music palace (palau de la música 4-6) was constructed by the hands of Lluís Domènech i Montaner between 1905 and 1908 and declared as Unesco World Heritage Site in 1997. Commissioned by the Orfeó Català society and working with the best artisans, the building is a masterpiece which consists of an iron structure with crystal wall in order to let in the sunlight. Later, some additional works have been done by Óscar Tusquets and Carles Díaz, the first part was from 1982 to 1989 and the second part was in 2000 opening the lateral front for anyone to appreciate better the new design, the incredible sculptures and ceramics covered the wall. Guided visits are organized each day but limited to 55 persons so don’t hesitate to buy your ticket. For the next one, you will have to leave this district to go to Horta Guinardo district. 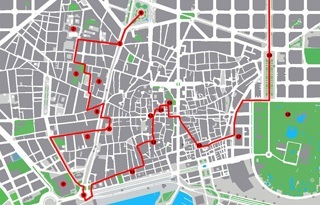 Walking will take you about 50 minutes so if you don’t want to walk, take the metro L4 urquinaona station to verdaguer station then L5 to hospital sant pau station. The Santa Creu i Sant Pau hospital (sant antoni maria claret 167) has been designed as a garden and pavilion mosaics by Lluís Domènech i Montaner with the collaboration of some great artisans and his son Pere Domènech between 1901 and 1930. The building has been built to replace the obsolete hospital Sant Pau in the Raval neighborhood and the result is a surprising facility with many pavilions surrounded by gardens and streets in order to improve the life quality of the patients. Open to the public only from Monday to Sunday at 10h-14h, don’t miss this masterpiece declared as Unesco World Heritage Site in 1997. Now for the last building, take back the metro to diagonal station and L3 to catalunya station. Then take the FGC train L7 to the last stop and finally the blue tram (tramvia blau) to avinguda tibidabo (romà macaya-dr ribas perdigó) stop. You will enter to Sarria Sant Gervasi district to discover the white friar, also known as Roviralta house (avinguda tibidabo 31). It was restored by Joan Rubió i Bellver from 1903 to 1913 and originally, the house owned to a community of dominican friars before to be bought by Teodor Roviralta. The architect only kept the structure and the layout and changed the rests giving a stunning result where the white wall contrasts with the colors of the brick and ceramic, the particular roof and the chapel give a special charm… Today, the place is a restaurant where you can eat in one of its beautiful dining rooms.